We anticipate that Amie (and Harley) may whelp a litter of puppies about December 4th 2018. They will be placed to bond and socialize with their new homes and families about February 12, 2019. NEW PUPPY PICTURES 3 WEEKS OLD FOR DERBY X QUINN LITTER!!! PICTURES OF THE 2015 LITTER IS AVAILABLE IN MEDIA GALLERY. ENJOY! Cascade is thrilled about our new litter 11 puppies were born 08/29/2013 out of AKC Champion Cascade Cachorro Dalia Dos Lagos (Coco) and AKC Champion Driftwood's Dreamscape (Quaid) There are 4 girls and 7 boys. All the puppies are healthy and Mom is doing a super job! Cascade is pleased announce that Allie had 10 puppies Monday, July 29, 2013. There are 4 girls and 6 boys. Everyone is doing great! This is a beautiful litter and Allie is the best mom. 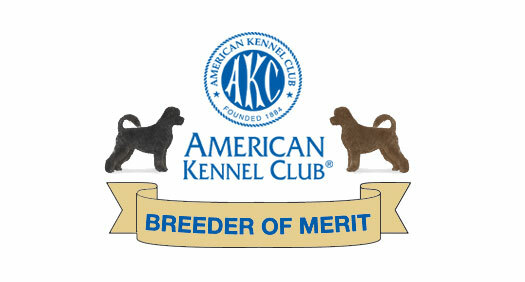 We are pleased to announce that Keno and Iris had a litter of 12 puppies March 23, 2012. Ten are black and two are brown. There are 11 girls and one boy. Call 425-780-5564 for more information or fill out a puppy questionnaire. Please see Media Gallery for pictures including temperment testing results and video.